Is Kidswant a Win for Investors? As the mother-infant industry booms, effective integration between its online and offline channels, and maintaining an efficient logistics system, Kidswant is likely to thrive in the future despite past losses. 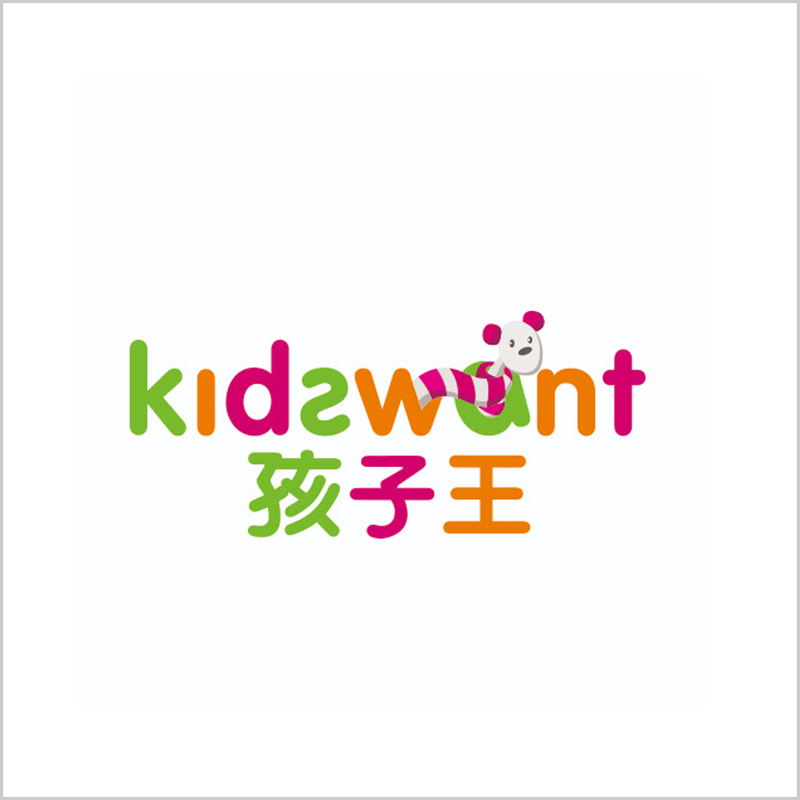 Founded in 2009 by XU Weihong (徐伟宏), Kidswant's (孩子王) shops are large store outlets covering approximately 2000 to 7000 square meters and situated in shopping centers primarily in tier two and three cities. According to TianYanCha, the company completed five funding rounds, the latest being in 2016 with an undisclosed amount led by NEEQ (National Equities Exchange and Quotations). In the same year, Kidswant successfully completed its Series C+ funding with an amount totalling hundreds of millions RMB led by CICC, Wanda Group, Starr China, and HTSC. Partial investors include Warburg Pincus, Greenwoods Investment, and Hillhouse Capital Group, according to Hurun Research Institute. Despite China relaxing its one-child policy, the birth rate fell significantly in 2017. However, Kidswant, a Chinese start-up that sells children and young teen necessities and provides childcare services to prospective mothers is still going strong due to its thriving industry, strategic business model, and efficient supply and logistics chain. When the e-commerce industry took off, many players from various sectors began combining their businesses with digital platforms. The maternal and infant industry is no different. From 2013 to 2018, the revenue of the maternal and baby e-commerce industry is expected to increase by 395% from CNY 67.7 billion to 335.7 billion respectively, according to iResearch. Additionally, the maternal and baby family service platform revenue in China is expected to hit CNY 9.2 billion in 2021, 80% higher compared to 2018. Parenting apps have also become increasingly popular. In March 2018, the MAU of parenting apps reached 8246 million, a 15% increase from 2017. 77.7% of users also use parenting apps for approximately 5-30 minutes on a daily basis. Kidswant is active in the e-commerce industry as its part of its multi-channel establishment to ensure the smooth flow of their logistics. Their core technical team comprises of former Tencent and JD.com employees, two large Chinese Internet giants to support their IT. According to Liu He Consulting on Zhihu, the company operates its own PC store, WeChat Mall, Tmall flagship store, JD.com flagship store, and launched its mobile app in December 2015 to complete its omnichannel strategy. In the first quarter of 2016, 72% of online sales came from their mobile APP, 12% from their PC store, and the rest distributed across their other platforms. This indicates that the app has a strong user stickiness. However, as previously mentioned, Kidswant also sells childcare services. Therefore, their app also functions similar to a forum. In addition to allowing its members to produce and share original content with others, there are also online interactive activities. The company’s childcare’s consultants also share parenting knowledge and can gradually form a relationship with expectant mothers through online and offline communication. According to iResearch, the “parenting knowledge” function is the most widely used out of basics. 75.9% report that they use this function frequently while 40.3% report they are willing to try or continue to use it. This is where the bulk of their user stickiness comes from combined with their offline service. While the maternal and infant online industry has great potential, there also exists limitations to the industry. iResearch suspects that customer acquisition costs, industry resources, and the market space will cause the “the revenue of maternal and baby family service industry” to decelerate. Yet, the report also highlights that “the expansion of offline service scenarios” and “fast growth in vertical sectors” as two points to slow the decline rate. In regard to Kidswant, their membership system constitutes a large portion of their sales (95% of their sales revenue comes from members), where their main channel is offline. At the end of 2016, the company reached 10.7 million members. The Chinese maternal and baby start-up is a self-operated B2C and adapts an O2O business model to sustain their growth. Regarding their O2O business model, ZHU Haoran (朱浩然), commented in an interview with Winners Network that neither online nor offline will be purely sales. Both will be used to meet the needs of children as they mature. They rely on their offline stores to manage and sell tangible goods, provides professional and diversified services to its customers through childcare consultants, and promotes social interaction between users and employees through activities and within their app. Their online activities primarily serve as a data-collector, facilitating offline sales. Kidswant’s offline stores can be considered as their front-end systems. Goods and services sold offline gives Kidswant a competitive advantage and provides incentives for customers to shop from them. Unlike most e-commerce, Kidswant’s physical stores are their main sales channel and their numbers have increased steadily throughout the years. In 2017, their store count was expected to exceed 200. According to Chinese and Foreign Toy Net (中外玩具网), on April 29, 2018, the Kidswant opened its 217th store. Additionally, its expansion is within reason. CHEN Yu (陈宇), an analyst from Chinese market research company, Yiguang, told STCN that Kidswant “adopts a national expansion strategy” that’s within a “controllable range.” The offline store is also their biggest contact with customers as it’s where customers do most of their shopping and location of where their childcare services and events are carried out. Regarding its products, Kidswant works with third-party brands and also sells their own goods. For their own commodities, they cooperate with OEMs to meet customer needs, according to Liuhe Consulting (六合君). At the end of Sept 2016, the company launched its own diaper, clothing, and toy brand with a total of 633 SKUs. By working with third-party manufacturers, Kidswant can sell exclusive goods such as their Winnie the Pooh clothing brand. By the end of Sept 2016, the company cooperated with more than 1300 manufacturers and accumulated approximately 55,000 SKUs where 90% are directly supplied by brand owners. A critical component of Kidswant’s online system is its membership system briefly mentioned in the industry overview. Additionally, the company uses an effective precision marketing strategy as part of its online model. For example, through purchases such as milk powder, Kidswant will be able to identify how old the user’s child is and his or her future growth stages. Therefore, the company can successfully push similar products, future necessities, and relevant discounts to its user through its app or on WeChat. In HE Hui’s (何辉), Kidswant’s Chief Technology Officer, speech at Yiguang’s 10 Big Data Applications Summit in Beijing, he indicated most promotions happen online. To prevent competition between its online and offline sales channels, there is no difference between the two. The company adopts the same management personnel, management systems, serve the same group of users, and sells the same type of goods. In Suzhou, Kidswant app users can scan a code which will notify its employees who came to the store and will offer shopping assistance if needed. According to Liu He Consulting, Kidswant has 5 major logistics centers and 6 major warehouses in Nanjing, Chengdu, Wuhan, Tianjin, and Guangzhou in 2016. In addition, the company’s inventory status is updated in real time through WMS (Warehouse management system) which ensures that there is no overstocked inventory. Therefore, this effectively improves operational efficiency and space utilization of its storage facilities. Furthermore, Kidswant’s logistics system is divided into online and offline channels. Regarding its offline channel, it’s separated into two direct distribution methods to its physical store: from the company’s logistics warehouse or through a third-party brand dealer or agent. Its online system is processed by their main Nanjing warehouse regardless of where the purchase was made from. Similar to its offline system, products are also delivered by third parties. In addition, Nanjing has its own delivery group for goods. As mentioned before, a significant portion of Kidswant’s revenues come from their members due to strategic precision marketing. However, the data they collect also helps them with their logistics system. According to Liu He Consulting’s report, Kidswant utilizes big data to track user behaviour and present information they collect to their suppliers. Their supplies will pitch the finished product to Kidswant, including price and raw materials used which Kidswant will choose the best price from its suppliers. One of Kidswant’s biggest competitor is Mama.cn, invested by and has cooperation with Tencent, according to Liu He Consulting’s report on the respective company. While the mother-infant start-up’s operations aren’t too different from Kidswant, there are a few distinctions. More than 95% of their platform content is UGC. It isn’t until 2016 when Mama.cn began pushing professional content to increase their user stickiness. While it’s not disclosed the proportion of Kidswant’s UGC content, if Mama.cn only recently began implementing this feature, then it may boil down to organizational efficiency and professional credibility. Using opinion leaders and brand ambassadors for promotional purposes. A majority of Kidswant’s promotions are online and utilize big data to which Mama.cn also use. When used effectively, celebrity endorsements and influencers can reach a greater audience. However, big names also cost a pretty penny. For other competitor comparisons with Kidswant, please refer to the chart below. Respective financial information for Kidswant and Mama.cn are collected from Liu He Consulting which cited its source from company announcements. Unlike Mama.cn, Kidswant suffered a negative net profit margin from 2014 to 2016. However, according to iyiou.com, Kidswant is turning losses into profit in 2017 which it cites its source from the company’s 2017 annual performance announcement. Net profits attributable to the listed company shareholders is expected to be CNY 136 million compared to a CNY 144 million loss in the same period last year. According to Liu He Consulting, the investment costs of Kidswant’s physical stores have been huge. A single store’s initial investment is approximately CNY 7.5 million (2.5 million start-up costs + 3 million in inventory + 2 million fixed assets). In 2016, there were only 77 whole profit stores with the rest going through its investment stages. Increased costs also came from building its technical team which now consist of more than 500 people. However, direct sales through physical stores resulted in positive gross profit margins for 2014-2015 which were 21.0% and 21.2% respectively, according to Liu He Consulting. In addition, the company’s value-added services such as their childcare consultants had positive gross profit margins at 83.9% and 86.5% from 2014 to 2015 respectively. According to iyiou.com mentioned above, the company attributed its growth to increase of active members, an increase in the number of stores, and their precision marketing strategy. Additionally, digital tools help to improve management efficiency and reduce management costs. It appears Kidswant’s efforts are paying off in recent years, perhaps due to the rapid growth of the big data and AI industry. As the company grows along with the mother-infant industry, continue to improve its online and offline channel efficiency, and maintain its logistics organization system, Kidswant has the potential to become a monopoly in the industry. Kidswant is a maternal and child pregnant child retail brand.